Amazing strength and unsurpassed comfort – the perfect combination for true professionals. Step up to greater power, higher top speeds, more comfort and a larger deck. The Z7 183 offers performance, quality and efficiency that puts other leading zero-turn mowers in the shade. 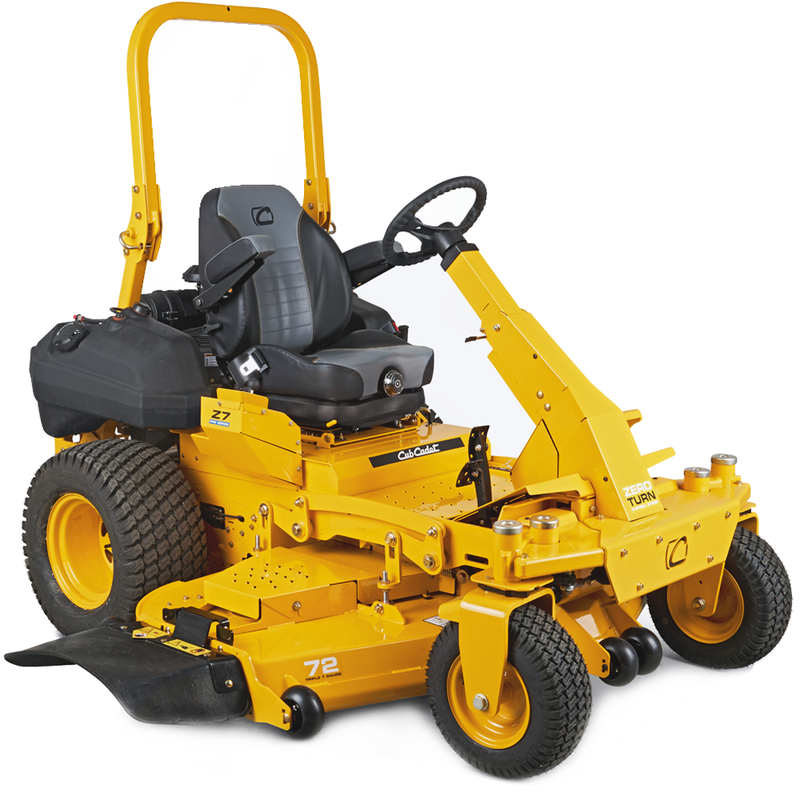 This makes the Z7 183 the absolute top model that needs much less mowing time than any other product. Experience a smooth ride all day long with Vibration Controlled Comfort - A cushioned and isolated dampening system under the seat provides comfort and support for hours of mowing. However much you demand from a mower we are sure you will love it. Tackle the toughest conditions with the industry’s only triple-7-gauge steel cutting deck: a 7-gauge deck shell with 7-gauge top and bottom reinforcements. A super-strong and efficient drive to meet optimal requirements (Z7 183). Provides twice the protection against unforgiving environmental conditions while ensuring even the most complex parts are thoroughly and evenly coated inside and out with an electronically-applied dual layer of eCoat and powder. Now that‘s a smart investment. Our exclusive air-ride seat allows riders to adjust the seat firmness to their personal preference. Absorb the impact of rough terrain with a new front-end construction featuring a best-in-class combination of axle, hub and yoke size.